Markets are a thrilling way to understand a culture and rub elbows with the locals. 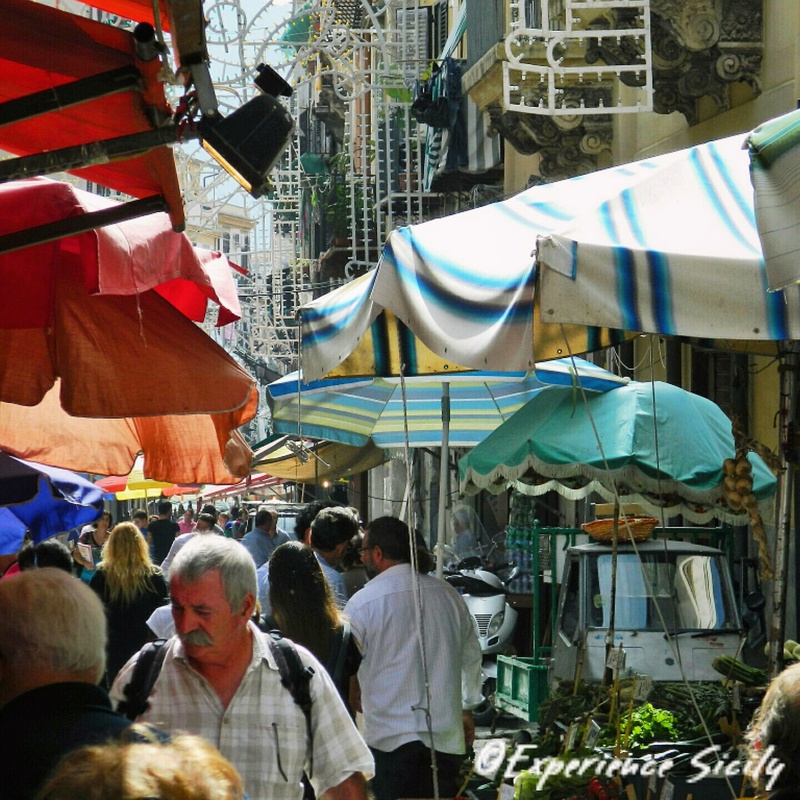 On many of our small-group tours, an expert local guide leads us through the markets of Palermo. She introduces us to the ways of the Palermitani, from what to purchase that day, to where to find the best arancina in the city. What’s the saying, “The way to a man’s heart is through his stomach.”? Well, man or woman, you’ll fall for this Palermo after our street food tour! Make your stomach and your heart happy and contact me at AllisonScola@ExperienceSicily.com to join me!